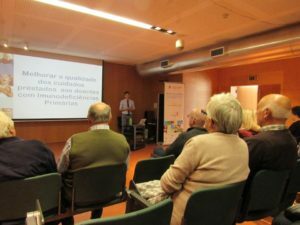 APDIP (Portuguese Primary Immunodeficiency Patient Association) was recently involved in many activities of the field of primary immunodeficiencies and rare diseases. World of Primary Immunodeficiencies (WPIW) was observed in two events, a Family Day and a Health Day. 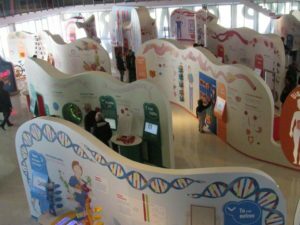 The “V Meeting of Families with IDP” was held in Coimbra, at the Live Science Exploratory Centre. In the morning we visited the exhibition that delighted the participants and during the afternoon we held an informative session called “Ask me Anything” with two immunology specialists answering various questions and clarifying the members’ doubts. 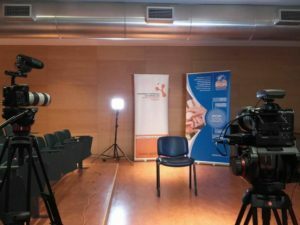 There was still time for recording patient video testimonials in collaboration with IPOPI and for the release of JMF balloons. 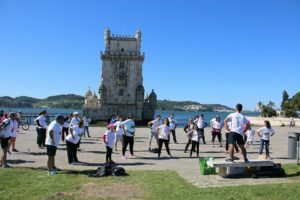 APDIP also help the “III Walk for Health” in Bélem, Lisbon. Forty people, wearing allusive T-shirts, joined a awareness raising 6 km walk with in good spirits! APDIP is a member of the Rare Diseases Federation of Portugal (FEDRA) and recently took part in its the General Assembly. FEDRA’s Work Plan for 2016 was discussed and approved. It focuses on monitoring and offering training to its member association and also in a lot of advocacy work. FEDRA will be intensifying its work with official entities, including the Ministry of Health, the Ministry of Social Solidarity and the Ministry of Education.